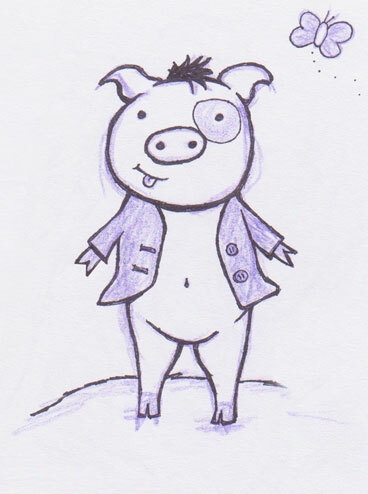 Sophia loves little piglets, so this is a quick sketch I did for her. At our local petting zoo there is 2 tiny and extremely cute piglets which she can’t get enough of. Between work and being a mum there hasn’t been much for sketching. When I do draw, Sophia loves to scribble all over my drawings…I have vowed to not let that be an excuse and will endeavour to “catch up” on drawing in December!